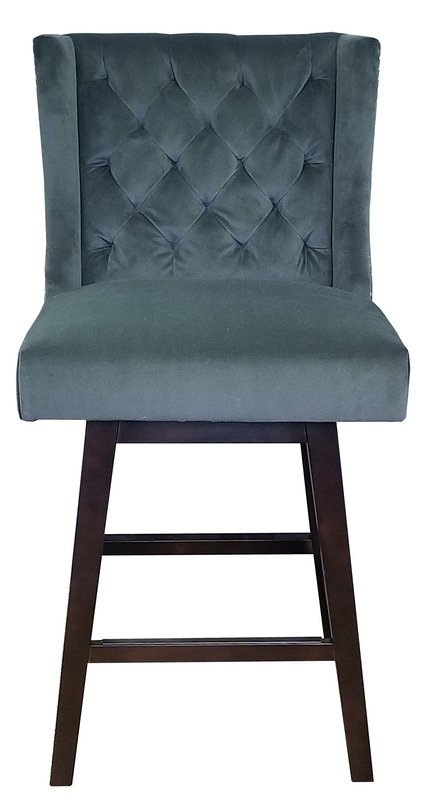 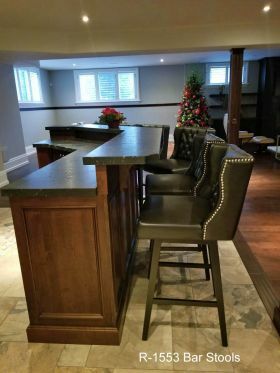 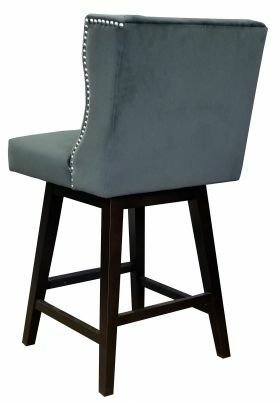 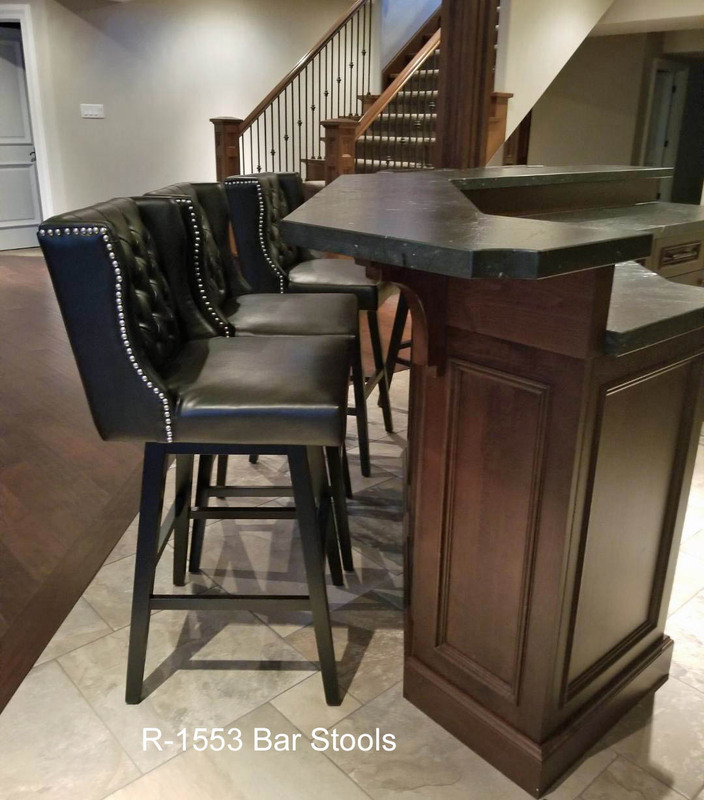 This handsome wingback swivel counter height stool with tufted back is designed for comfort in your kitchen. Featuring brushed silver nail head detailing, comes in slate grey or smoke gray velvet fabric with espresso legs. 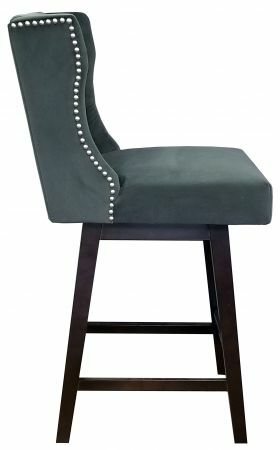 Black metal plate on the footrest add extra durability. Made for contract and residential use. Also available in many leather and linen fabric colors, search for R-1553 for other colors.